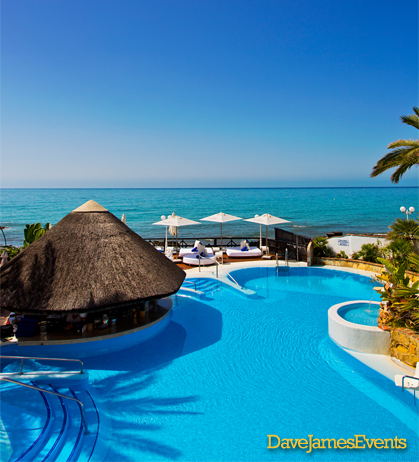 El Oceano Hotel is a beautiful hotel by the ocean, close to La Cala De Mijas. Perfect for weddings and celebrations. 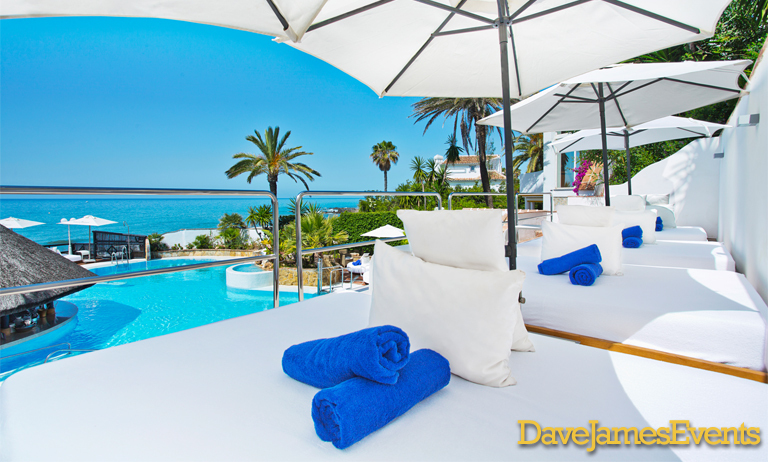 El Oceano Beach Hotel is located midway between La Cala de Mijas and Marbella, on the beautiful Mijas Costa. 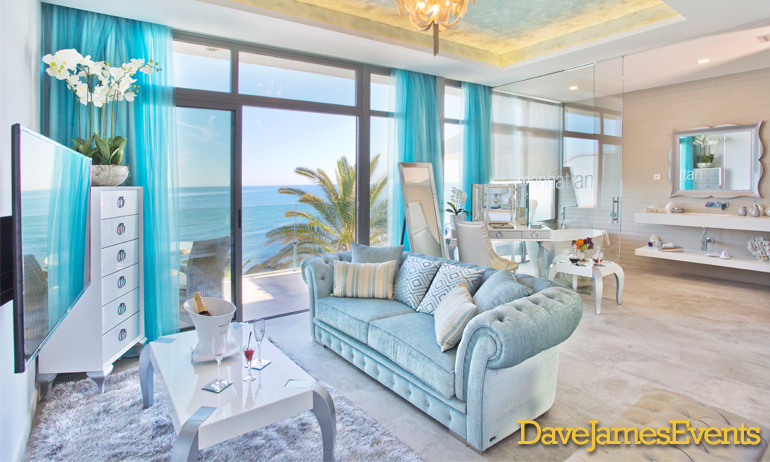 This jewel of a hotel gives the feeling of staying in your very own seafront residence, a truly unique and wonderful place. El Oceano is a beautiful setting for a wedding. 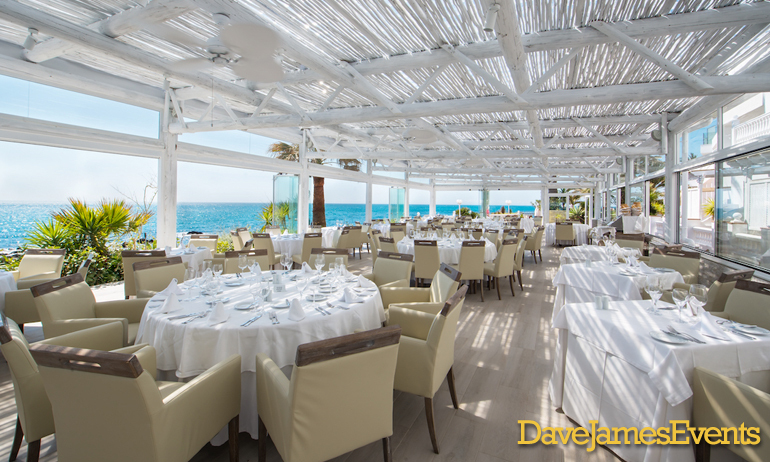 Glenn and the team will ensure that every part of your day is perfect, and Dave James Events will be delighted to arrange your entertainment. El Oceano Hotel has 50 rooms, most of which offer beautiful views of the sea.